The Obama Administration announced on Sept. 26 that it will invest $80 million in new funding for its Smart Cities Initiative, while doubling the list of participating communities. The $80 million is being allocated for specific sectors, per a White House news release. These areas include climate, transforming city services, public safety and transportation. One of the Smart Cities Initiative’s activities, the Department of Transportation’s Smart City Challenge, awarded Columbus, Ohio $40 million in June to build out a prototype of future urban transportation. The number of cities participating in the initiative now totals over 70, according to White House materials. These cities have been selected to participate in different projects within the Smart Cities Initiative. “With nearly two-thirds of Americans living in urban settings, many of our fundamental challenges—from climate change to equitable growth to improved health—will require our cities to be laboratories for innovation,” the release noted. One project, the Global City Teams Challenge, brings cities together in clusters to tackle challenges that would be impossible for just one city to handle, the Portland Business Journal reports. Among these cities are Atlanta, Bellevue, Wash.; Columbus, Ohio; Kansas City, Mo. 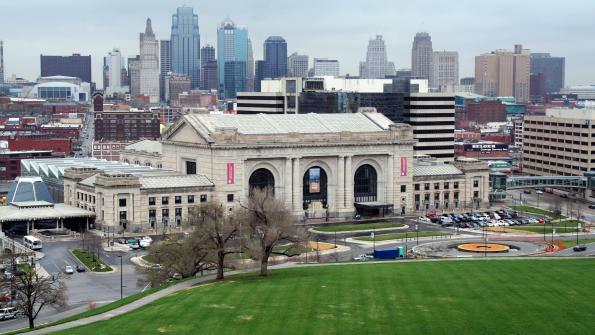 (and Kan.) and Newport News, Va.
Kansas City will also be involved in several other initiatives, including one that aims to utilize smart energy efficient urban transportation and clean energy source distribution, the Kansas City Business Journal reports. The cities, the University of Kansas and the University of Missouri-Kansas City were also tapped to participate in the Big Data and Human Services Lab, which will use big data to transform human services. “Our selection as global lead cities reflects a spirit of strong regional collaboration. Innovation is a key priority of my administration and participation in the Global Smart Cities initiative will help us create smarter, healthier communities,” Kansas City, Kan. Mayor Mark Holland said in a news release. Similarly, Pittsburgh and two of its universities — Carnegie Mellon University and the University of Pittsburgh — were selected to participate in the MetroLab Network, which comprises 40 city-university partnerships and will bring “innovation, analytics and data to city government,” the Pittsburgh Business Times reports. Pittsburgh will also host the White House Frontiers Conference in October, in which global innovators will discuss how to invest in science and technology to improve lives, the news release noted. 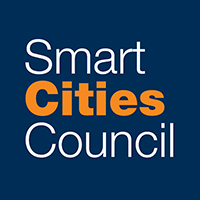 The announcement kicks off the second annual, three-day Smart Cities Week, which the Smart Cities Council hosts in D.C., Bloomberg BNA reports. “A smart city strategy is essential to support a 21st century workforce and to drive economic development,” Smart Cities Council Chairman Jesse Berst told Bloomberg BNA.